Salvation lies in the cross. Christ followed the will of His Father and took up His cross, so should we. Christ suffered death at the hands of the governing Roman authorities, rejection of the Jewish nation, betrayal of an apostle, and abandonment of His disciples. Should we expect to be treated differently? Should we not also endure abandonment, betrayal and rejection by family, friends and country? In these lies our cross, our crown, our glory — Blessed are those who are persecuted for righteousness’ sake, for theirs is the kingdom of heaven. Blessed are you when men revile you and persecute you and utter all kinds of evil against you falsely on my account. Rejoice and be glad, for your reward is great in heaven, for so men persecuted the prophets who were before you. (Matthew 5:10-12) We are to rejoice in our suffering, enduring all in patience for Christ Jesus. 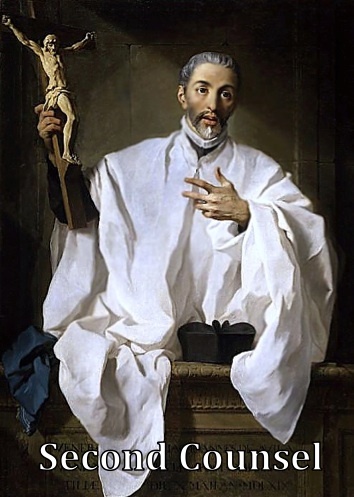 This entry was posted in Essays and tagged Affronts, Catholic, Catholicism, Censure, Christian., Christianity, Cross, Crown, Glory, heaven, Persecuted, Revile, Reward, Rudeness Matthew 5:10-12, St. John of Avila, Suffering, Ten Counsels to Lead the Soul in the Way of Salvation, Vexation. Bookmark the permalink.